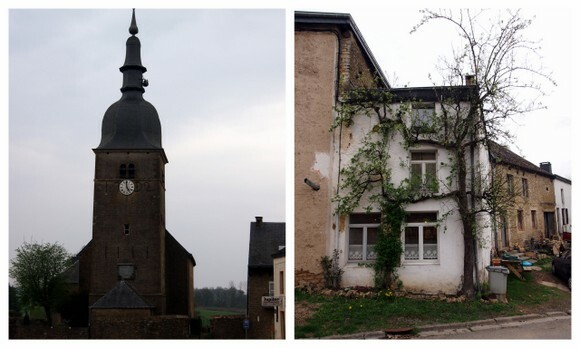 My parents-in-law treated us to a weekend trip to Chassepierre last week. 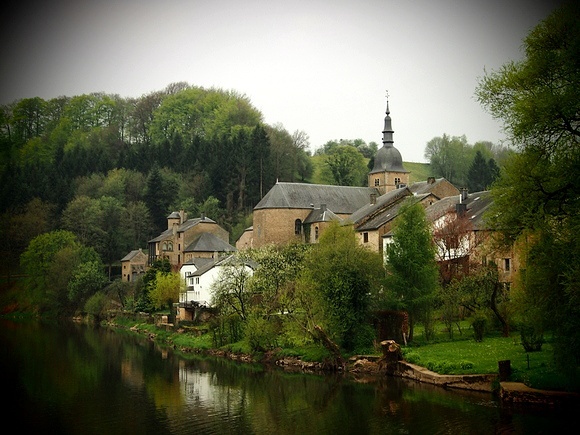 Situated in the Belgian Ardennes, Chassepierre is bordered in the East by the river Semois and in the south by France. The name originates from the Latin casa petrea meaning 'stone house'. We stayed in the B&B Les Jeannes -- super romantic! We heard nothing but rave reviews about Les Jeannes and we were excited to stay in the colorful little B&B. Les Jeannes is almost like a destination in itself. 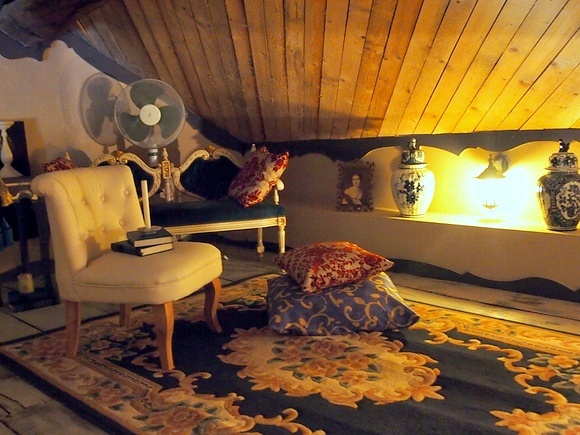 All the rooms are decorated with paintings and vintage pieces (one room even had a confession booth in it). It's all a bit over the top, but in a good way. 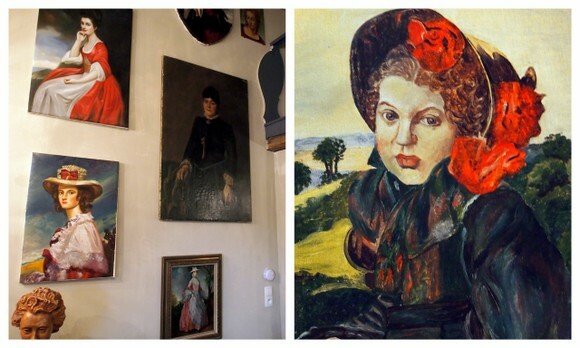 The many paintings in Les Jeannes also inspired a few scenes for my new novel "Frances" and after a late-night brainstorming session with my boyfriend we came up with several other ideas for the book. Also worth mentioning: the delicious homemade breakfast and dinner made from local produce, the kind owners, and the many cats from Chassepierre (the village has less than 200 inhabitants and I believe I saw more cats than people there). What's the best (or most original) B&B/hotel you've ever been to? Why was it so special? 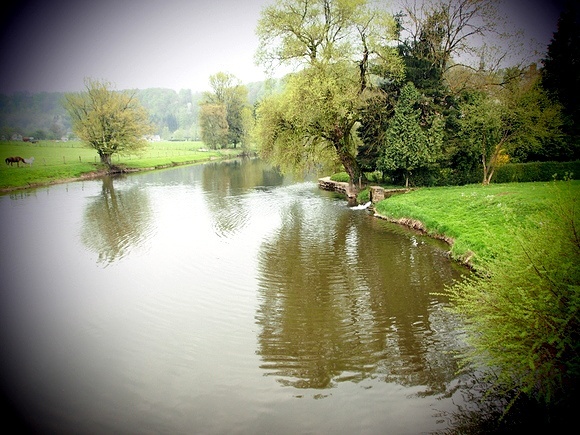 It sounds like you had an absolutely fab time in Chassepierre – it’s pretty gorgeous, huh? I have to say, these pictures did make me long for sunny, warm days in the country! I haven’t been anywhere exciting lately but I am going to Hawaii in June and I cannot wait!! What beautiful photos! THanks for stopping by my blog earlier. First, I so admire you. Second, I appreciate that you always focus on the positive sides of life and really get out there and embrace the world around you. There’s so much good and happy out there, and you do such a nice job capturing it. 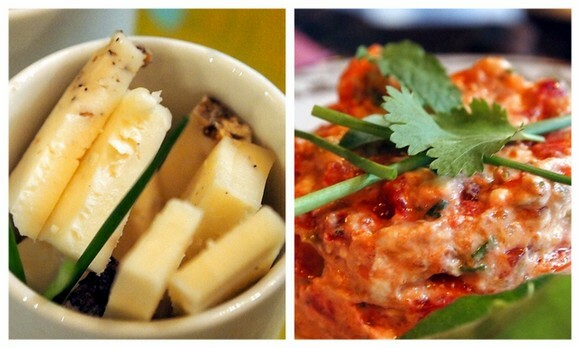 It is always a treat to read your posts and see your photos. More cats than people? Sounds like my kind of place! :) So beautiful too. 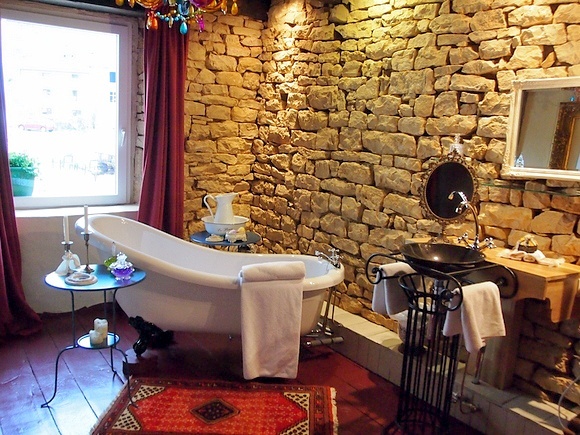 I love the cute bathroom and stone walls. I would have felt like a princess! Sounds really romantic and charming! 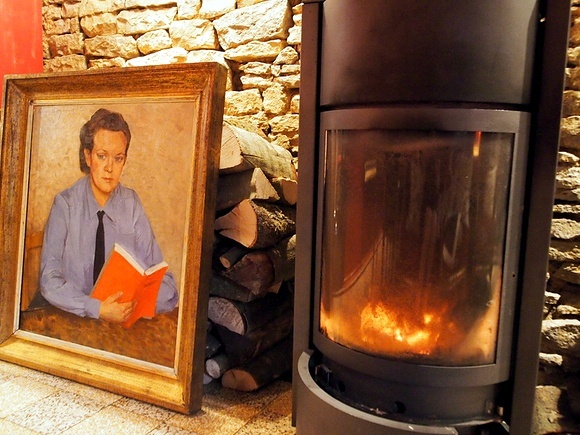 Oh, and I *love* the B&B Les Jeannes! This looks like so much fun, I can’t wait to travel to Chassepierre! I’m abroad in New Zealand right now. Looks like you had a blast!! Oh wow! It looks and sounds spectacular. How very fortunate you. Sounds very romantic indeed. You're a lucky gal. I'd love 5 minutes (though I'd need a good hour) in that bathtub alone - or not alone. Beautiful pictures. Ahh, looks like you had an amazing time! The last place I traveled to was Jamaica! Super fun and it was a much needed getaway from the endless Boston winters! Beautiful pictures! Looks like a lovely place to visit!